You may already know that the themes of the menus at Babylonstoren revolve around what is in season in our garden, and with over 300 fruits, vegetables and herbs to choose from, we’re always able to come up with something fresh and surprising. Anyone who has visited Babel Restaurant and the Greenhouse will know that our salads and juices are simply labelled green, red and yellow, corresponding to and whichever fruits and vegetables are in season in those colours. 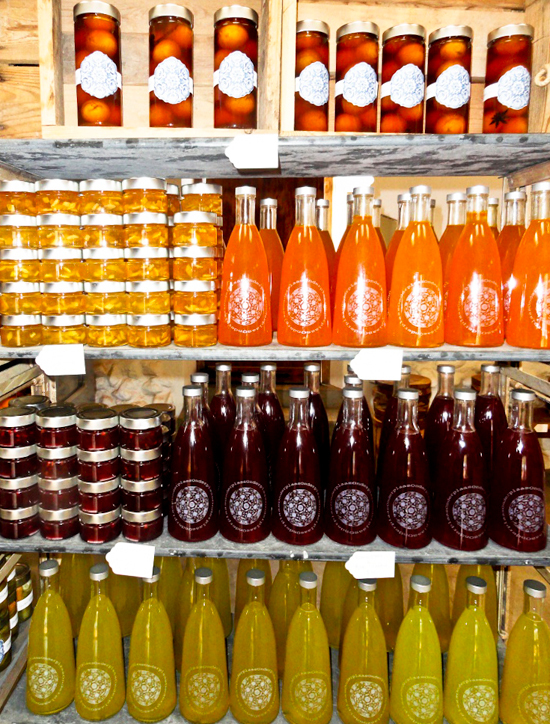 Now we’re also delighted to have developed a range of green, red and yellow cordials which are available in the Babylonstoren farm shop. The Red cordial is made from pomegranate & rose, satsuma & sage make up the Yellow cordial, and melon & mint are in the Green cordial. Next time you visit, be sure to come to our shop and experience it first-hand! I would like to purchase plum cordial from you. Dear Karin. You can buy from our online shop here, or at the farm shop.